Lea Michele continued her promotional efforts of “New Year’s Eve” film when she visited NBC Studios in Burbank, California on December 7. The “Glee” star wore short little black and gold dress when she appeared on “Tonight Show with Jay Leno.” On why she changed her last name Sarfati, she explained that she don’t use it a lot because she got Lea So-fatty. That’s why when she went to her first audition, she has been Lea Michelle ever since. 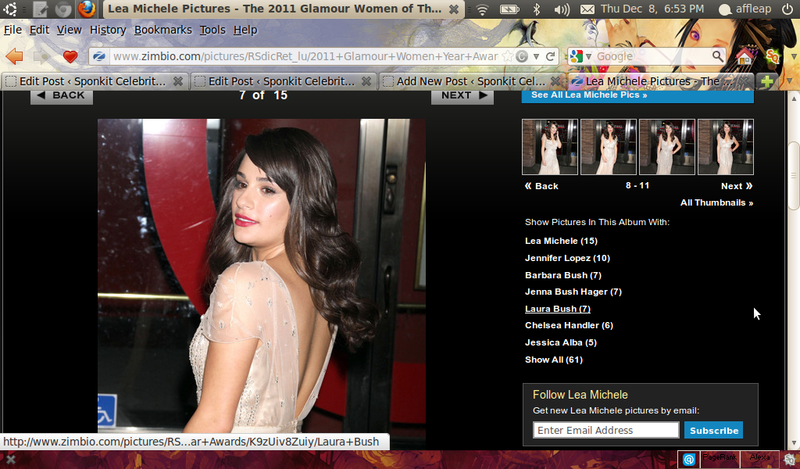 Lea added that her last name is Sephardic, which is Spanish/Jew.